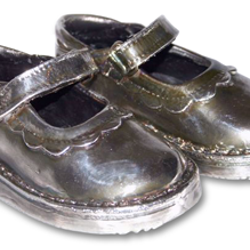 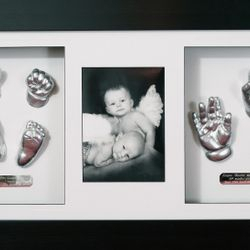 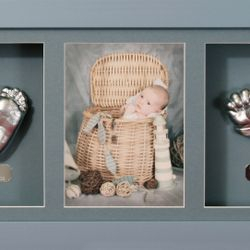 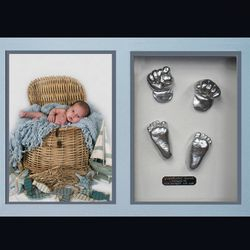 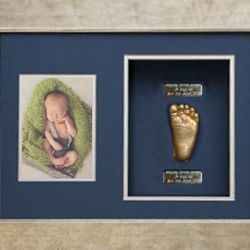 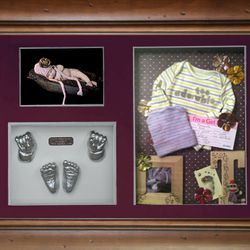 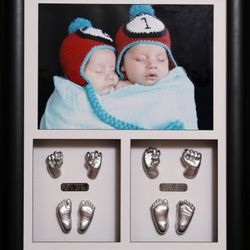 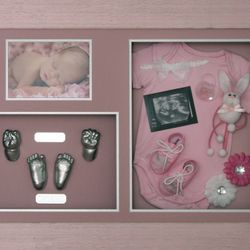 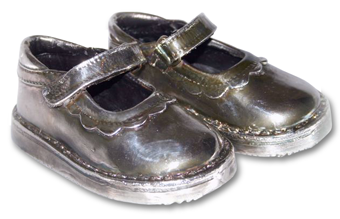 "first impressions can last a life time"
Itsy Bitsy framed baby hand and feet sculptures capture your baby's or child's hands and feet in exquisite detail forever, detailing every little line and wrinkle.. Our casting process is completely safe and hypoallergenic and suitable for all ages. 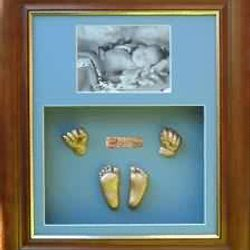 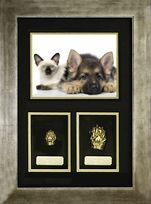 Casts are available in gold or silver and mounted in custom made frames chosen by you from our large selection. 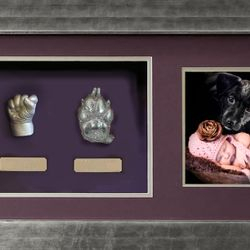 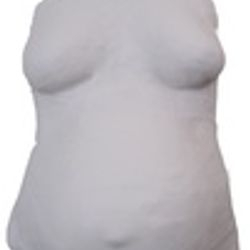 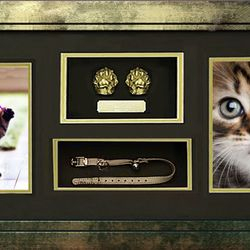 Please visit our product range to view our framed hand and feet sculptures, pet paw sculptures, baby shoe and dummy bronzing, pregnant belly casting, photography and custom framing ranges. 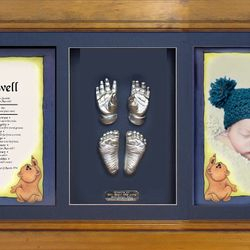 Please contact the studio to make a time to have your Baby's or Child's Hand or foot cast in our studio located near Westfield Marion and Flinders hospital.. Our casting process is easy and can be done with baby awake or asleep only taking a few minutes. 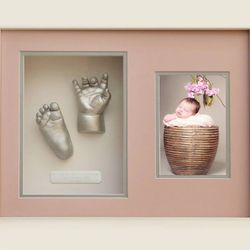 We take an impression mould of each hand and foot allowing us to create a 3D stone replica of your baby's or Child's hands and feet. 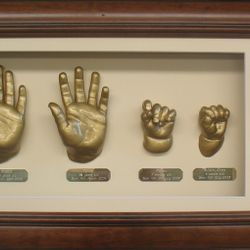 Our sculptures are created in a high grade 10,000 psi stone to ensure life time longevity then sealed and coated in your choice of a gold or silver finish. 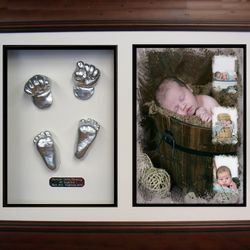 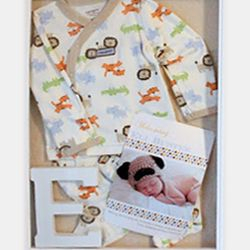 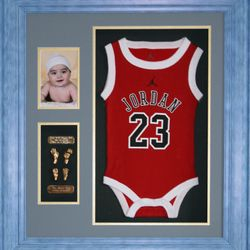 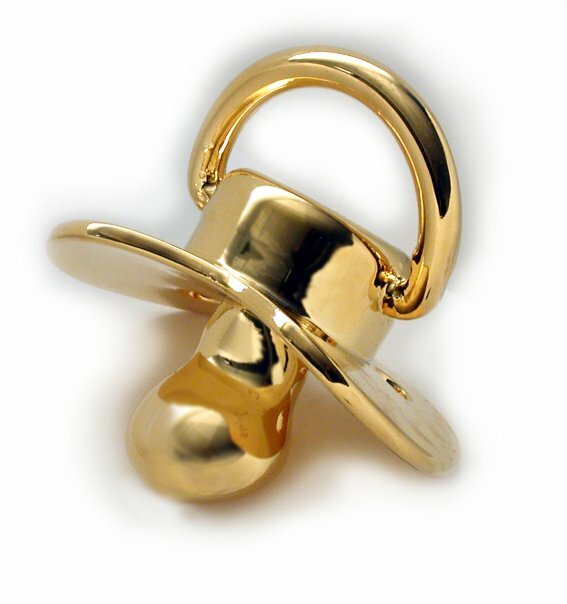 Here at Itsy Bitsy® Studios we use the latest products and techniques to ensure you receive the perfect keepsake that will last a life-time, our quality is unmatched.. 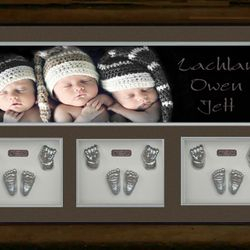 Your one stop location in Adelaide South Australia for all your keepsake needs.